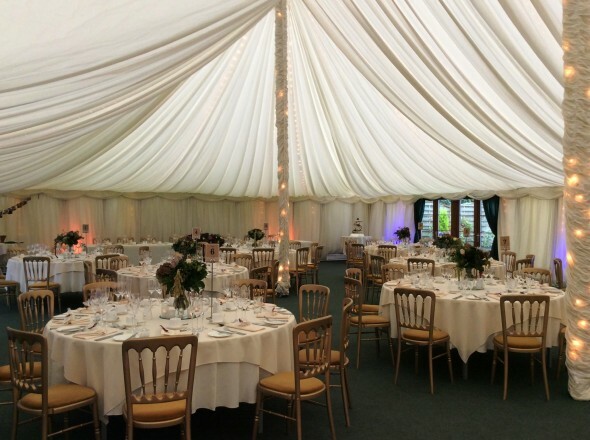 Our happy bride choose a large picturesque 15th century Tudor Manor House and rich sumptuous colours for her beautiful day. Winter is such a wonderful time to get married. The season is ripe with beautiful seasonal foliage that will enliven your celebration and one of our favorite ideas at this time of year is to incorporate berries into your wedding flowers making them very modern and rustic at the same time. 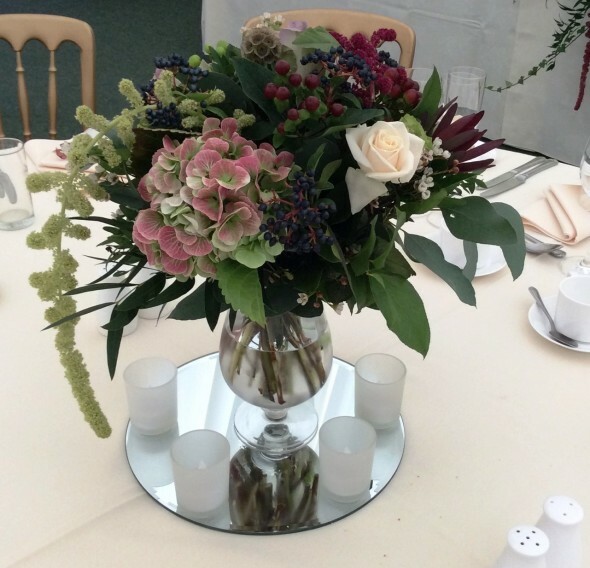 Our bride chose coffee coloured Amnesia roses, imported from South America, along with burgundy hypericum berries, viburnum berries, soft ruscus and trailing ivy. 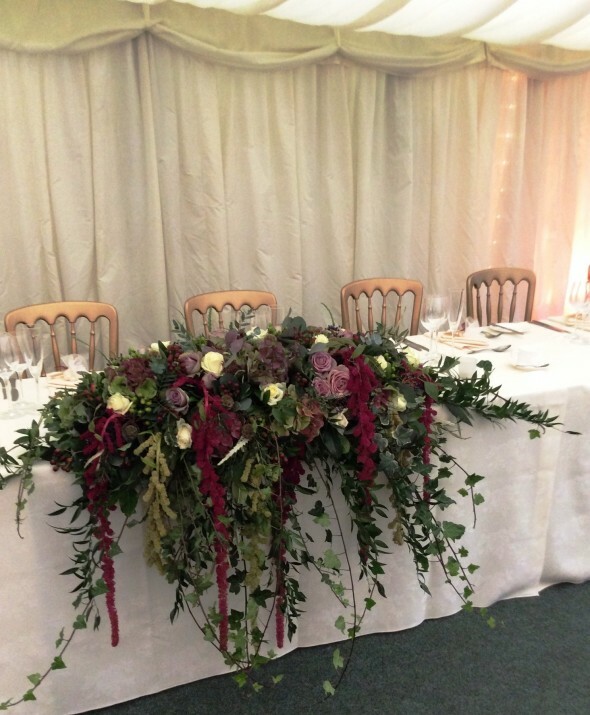 A stunning four foot arrangement was placed on the top table which included hydrangea and the unusual hanging amaranthus in green and burgundy. 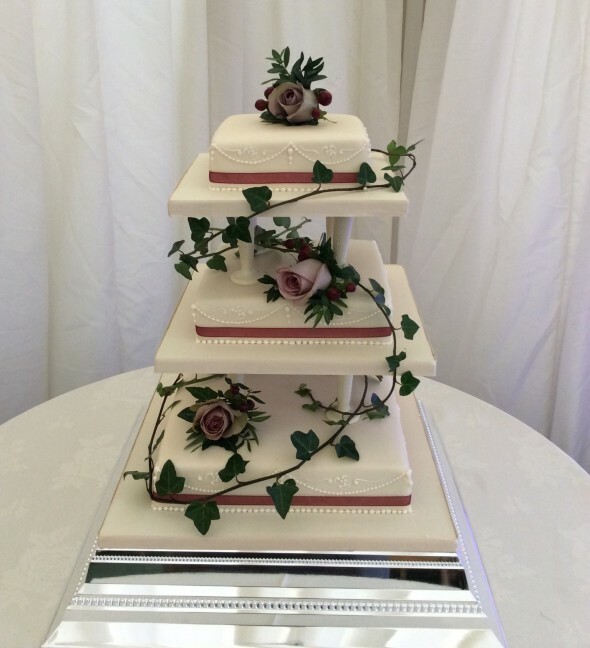 Winter weddings may not have the warmth of summer but they certainly have the warmth of nature to bring your special day to life!